The Auschwitz Institute for Peace and Reconciliation (AIPR) marks May 29 as the International Day of United Nations Peacekeepers. The annual commemorative date was established by the UN General Assembly in 2003 through A/RES/57/129 in order to honor the memory of UN Peacekeepers who have made the ultimate sacrifice in the name of peace. In the period since the first UN Peacekeeping Mission was initiated in 1948, more than 3,500 men and women have lost their lives in the pursuit of peace, including 117 over the previous year. The day also serves to pay tribute to current and former peacekeepers for the professionalism, dedication and courage they display in the protection of civilians around the world. 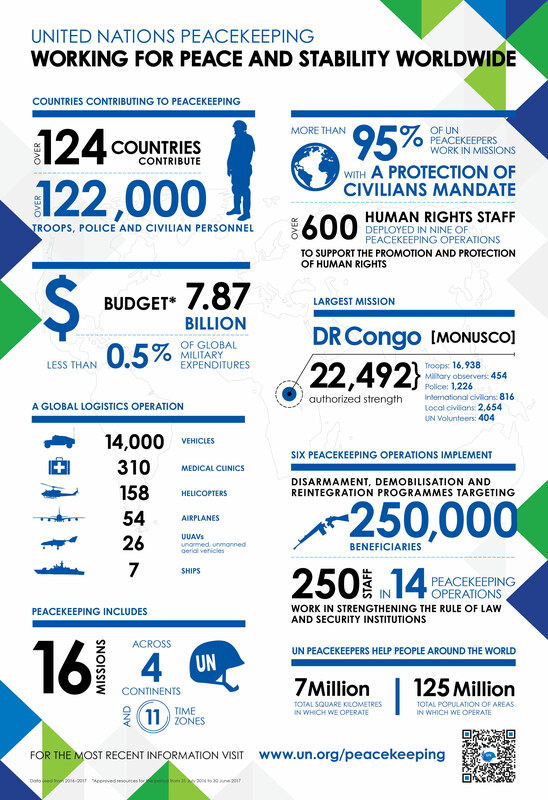 The United Nations’ peacekeeping efforts are currently comprised of 16 separate missions around the world, with 124 member states contributing to a total of more than 122,000 uniformed and civilian personnel. This figure is represented in the theme of this year’s observance of the International Day, “Investing in Peace Around the World.” To mark the annual commemoration, the UN has also developed a series of video interviews with a diverse group of Peacekeeping personnel, highlighting the personal investments that each as made to global peace. On this International Day of United Nations Peacekeepers, the Auschwitz Institute for Peace and Reconciliation commemorates the sacrifice made by the thousands of UN Peacekeepers who have perished in the line of duty. Furthermore, AIPR acknowledges the noble efforts of the thousands of men and women who routinely put their well-being in jeopardy in contemporary conflict zones around the world to serve the greater good and the vital contribution that Peacekeepers make to the construction of durable peace and the prevention of mass atrocities.